CatRotationHelper is an addon specifically created for Feral and Guardian druids. 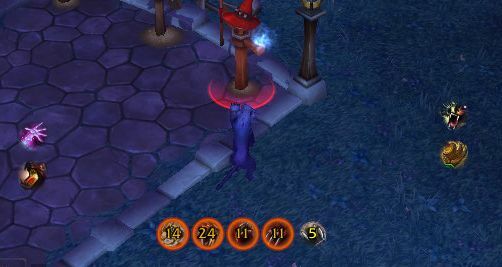 It shows combo points, all important buffs, debuffs and cooldowns in Cat & Bear Form in a nice way. Just have a look at screenshots! You can customize this addon in the standard Interface -> Addons options. Looking for energy/rage bar? Check EnergyWatch! Regarding new icons: That's definitely in the plans, just I'm too busy to work on addon :( Hopefully that will be implemented soon. Also, I'm not exactly sure were to place them. Probably will be the second row of main icons. Regarding energy: I suggest that you install another addon, EnergyWatch. It does its job very well, so I feel no need to implement my own energy bar. Thank You for still doing this addon in WoD! At the moment, guide says that Thrash is a small DPS increase even again single target. I think it will stay there until it's clear whether or not to keep it. As for Bloodtalons, we'll see when it's released. I'm quite busy at the moment, so I mostly concentrate on keeping stuff running, I'll optimize somewhat later. I am so glad the CatRotationHelper(CRH) project is still active. CRH has always been the best addon for feral cats. 3) A possible new icon to display the stacks of the Bloodtalons buff (which is nearly the same with the old DoC) should replace the Berserk icon next to the Predators Swiftness icon in the event frame. Thank you for your beautiful and elegant work for feral cats! As far as I can tell Thrash is not needed for cats. It will apply Weakened blows, but has terrible dps. As for various talent spells, i will add them later. CatRotationHelper is my first and core addon and I love it ! In wow 5.x, cats should watch one more dot - Thrash, and one more buff - Dream of Cenarius. Would the dear author add these into the future CatRotationHelper?